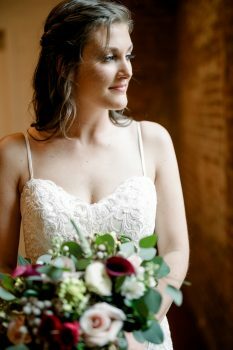 April Showers bring a stunning bride and gorgeous wedding flowers! 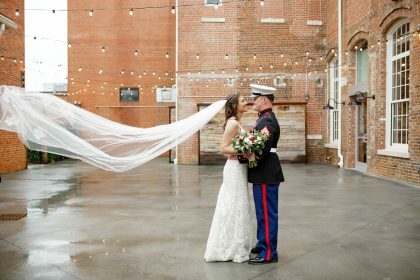 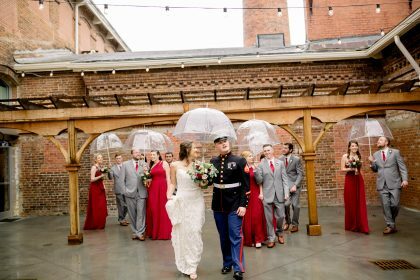 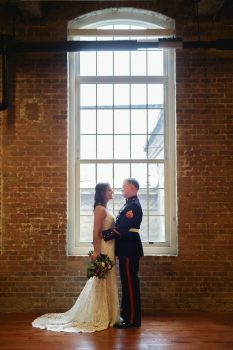 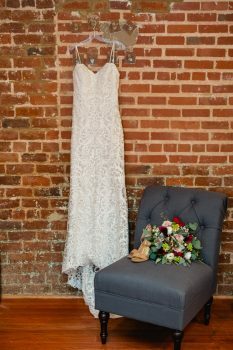 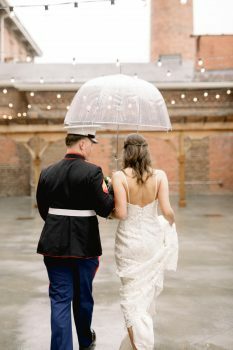 A rainy forecast didn’t damper Hannah and Van’s spirit on their wedding day at The Cloth Mill in Hillsborough, NC. 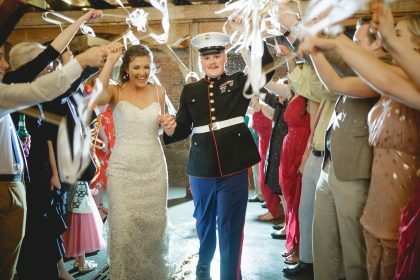 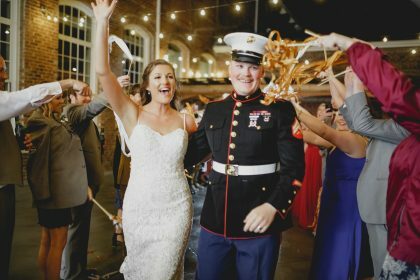 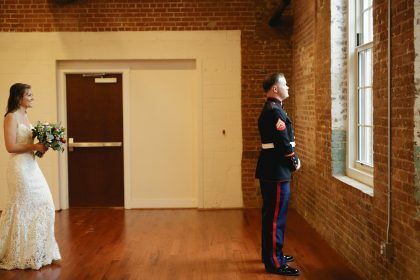 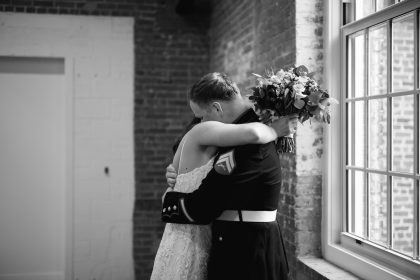 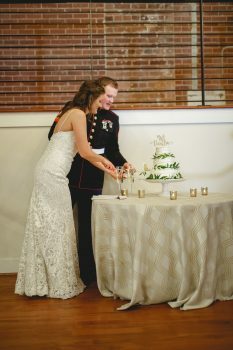 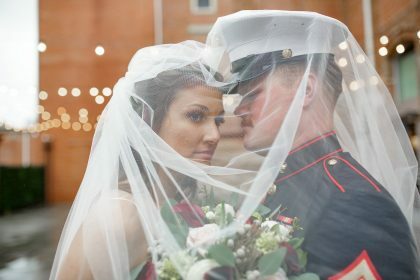 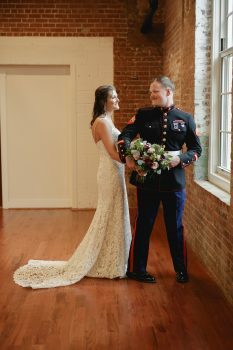 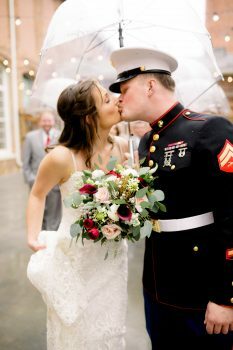 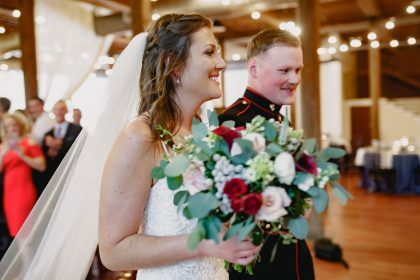 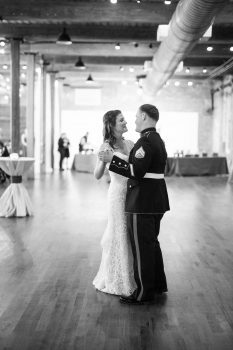 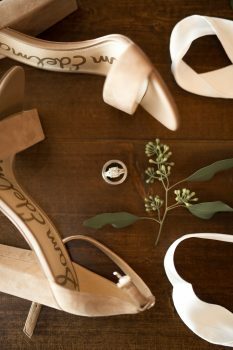 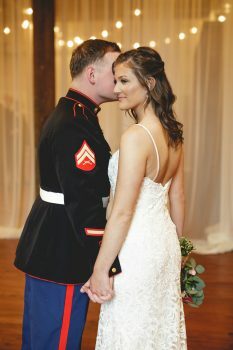 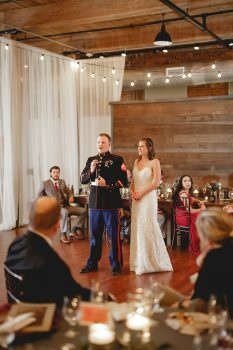 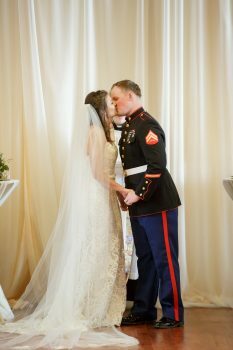 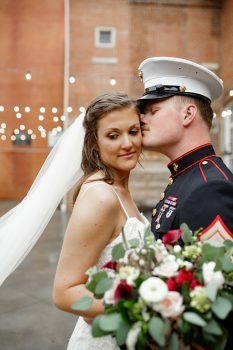 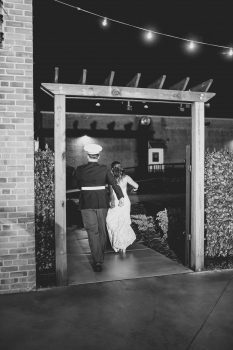 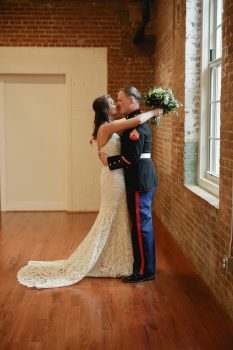 Having spent a portion of their engagement apart while Van was deployed with the USMC, this endearing couple knew the importance of enjoying the now and making the most of their time together. 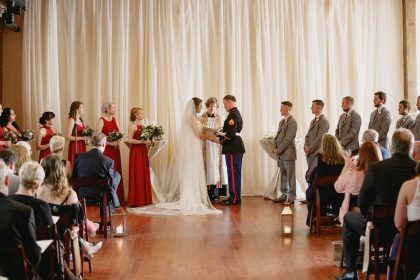 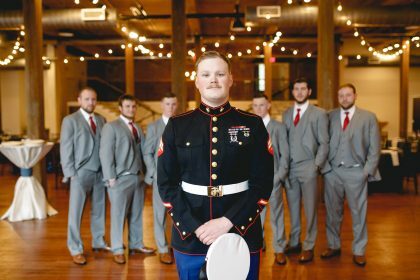 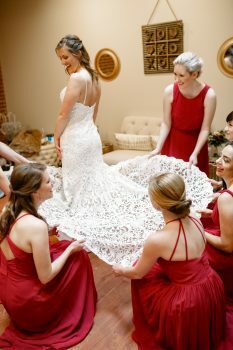 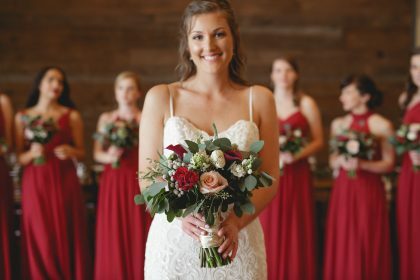 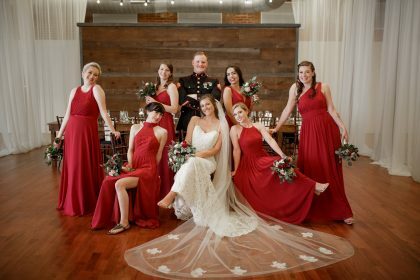 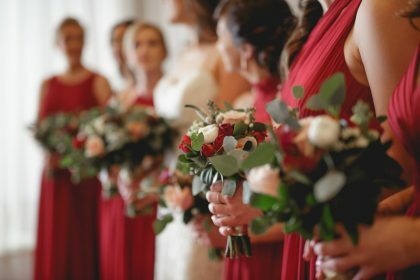 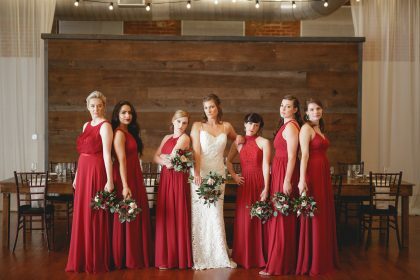 Thanks to the professional talents of The Makeup Addict team, Hannah and her attendants looked radiant from the pre-ceremony photos all the way through to the newlywed’s Grand Exit, and the gorgeous florals by Tre Bella Inc. popped perfectly against the bridesmaids’ vibrant red dresses. 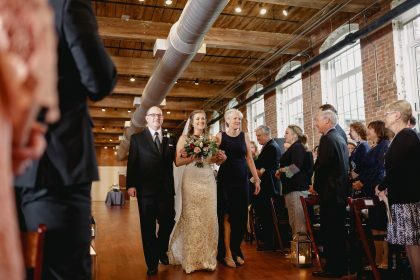 Some of the highlights from Hannah & Van’s wedding day include being united in marriage by the bride’s Aunt, Rev. 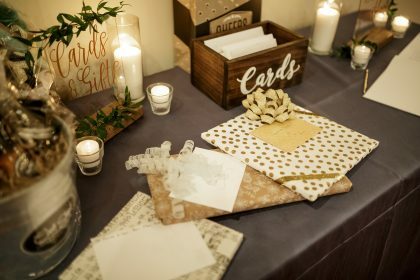 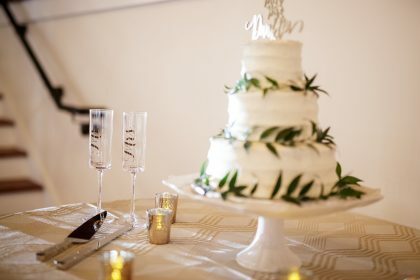 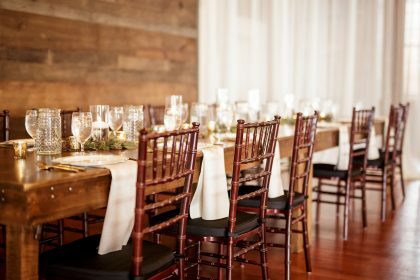 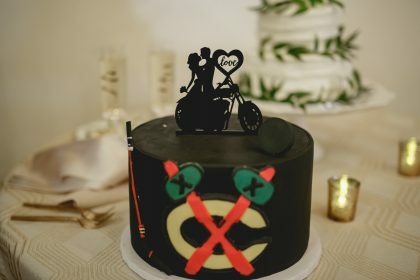 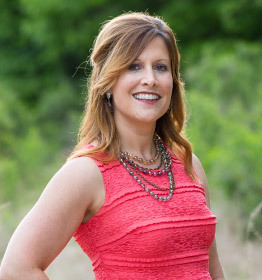 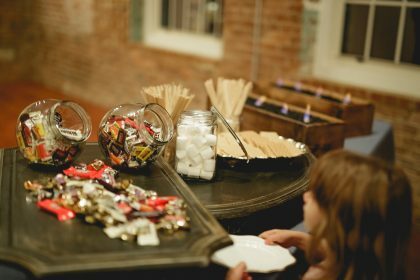 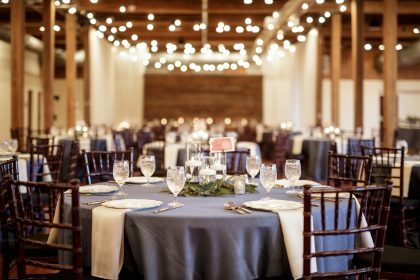 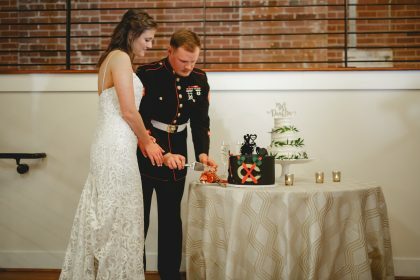 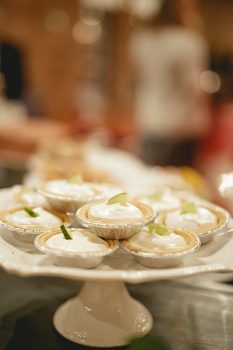 Mary Ann Hill, a delicious S’mores Bar expertly crafted by Cook Shack Catering, and a surprise Groom’s Cake by Cake Couture Boutique that encompassed Van’s two favorite past times – the Chicago Blackhawks and his prized Harley Davidson motorcycle. 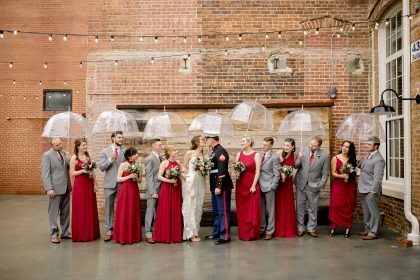 It was a magical day that was enjoyed by all who attended, and Hannah and Van are destined for a lifetime of happiness because together they know how to make the most of every moment – come rain or come shine. 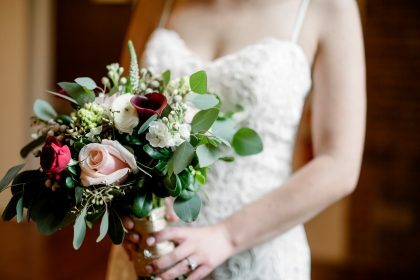 Floral Design: Tre Bella Inc.